Ya gotta know what to expect! I speak personally to every person that calls or email a response to every email I receive, and then we talk. I try to answer the calls and emails the same day you make them, but sometimes I cannot because of my work schedule. If you don’t hear from me in a day or so, it’s for one of two reasons: either I dialed the wrong number or your phone number did not come out clearly on the answering machine. Please call me back! These calls usually last about 15 minutes. We ask each other questions to see if we want to work with each other! Many people ask if other family members can come to either the group training sessions or the private lessons, and the answer is a resounding YES! It’s better for everyone to be on the same page with the training. We schedule an appointment to our mutual convenience. I will send you at least one questionnaire to fill out, depending on our conversation, so I can get more information on how you and your dog interact. You print out the questionnaire(s), which I glance over at our meeting to get a general idea of the reason for our meeting. Then I ask follow-up questions during our meeting and make general recommendations for training and/or behavior modification and also work with your dog and show you how to do whatever training exercises we have time for. There are 5 types of private training when we show you how to train your dog or puppy because you’re living with him 24/7 and you need to know the commands or cues – obedience training exercises, manners training, and behavior issues although usually it’s a combination of all three – and, of course, puppy training! We also offer Little Dog Training, which is geared to – you guessed it! – little dogs and their special issues. We also offer Day Training where we come to your house and train your dog for you and then transfer the information to you. Obedience training is a mechanical process. I demonstrate with your dog on how to do an obedience exercise such as Sit and then work with him until it’s time for you to take over. I talk you through it and then you do it several times until you have the confidence to do it on your own. Doggie Manners Magic private training is a very fast-paced lesson. 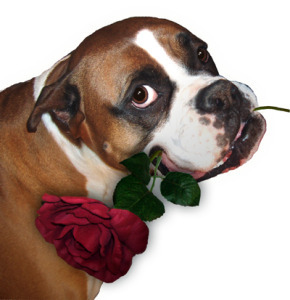 I personally work with your dog to show you the exercises so your dog will learn to behave around your house. Then you do the exercises while I watch. You choose which of the following exercises are most important to you, and we will do as many as we have time for. In our private training for behavior issues (such as fear, aggression, separation anxiety) is different, we talk a lot so I can get a clear picture what is going on and when it occurs. Then we work together to develop a program specifically tailored for you and your dog. It’s up to you to follow through. Then I take the questionnaires home and read them more thoroughly and make more specific recommendations if necessary. When we meet for subsequent lessons, I ask how the training has been going, how your dog has changed, whether you have read the materials I suggested, and what you would like to work on during the session. All lessons are geared to what you would like to work on with some input from me as to how to make it more understandable for your dog. Our private puppy training lessons generally center around the three core issues regarding puppies, which potty training, chewing and biting, and socialization. We also begin teaching Sit and Come, which are the two most important puppy obedience exercises. Day Training is when I come to your house and train your dog for you. At our first session is two hours, and we decide what your specific needs are, and I’ll help you get started with things you can easily do at home by incorporating small changes into your everyday routines. I come to your house at least twice a week (three times is better) to train your dog. I leave a written summary at each lesson outlining the training session. We meet once weekly during the training process (this is called the transfer session) so I can show you how to do the exercises I have taught your dog. 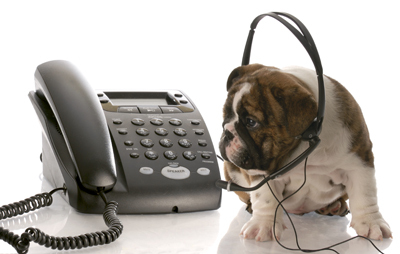 Call (310) 804-2392 now so we can discuss what’s best for you and your dog. Thanks for visiting What to Expect!